Walmart Adventure. This evening I went to Walmart to buy a gift certificate and a birthday card. I picked out a birthday card and a gift certificate. I wanted to have a receipt for it all and I also wanted a print-out of the balance of the gift certificate to go along with it. The first cashier I went to was a lady who was currently ringing up somebody. She was studying the key board with her fore finger circling near, ready to hit the correct key as soon as she found it. I moved on to the next cashier. She was ringing up some items for a customer not even looking at the keyboard. She knew what she was doing. Before she rang up the birthday card and gift card up I explained what I wanted. After she rung it up and I paid she handed me my receipt. I asked for the one that I requested that would show the amount of the balance of the card. She said she never had to do that before. She tried and tried with no luck. She called her supervisor over and she said you can only print out the last item. I said I have done it a lot, have the balance of the credit card balance printed up before I give it as a gift. The manager said, "Oh! I see! All you need is a balance to put with your gift card?" She took the new gift card and ran it on the machine. It printed out a balance. Good! That's all I wanted. 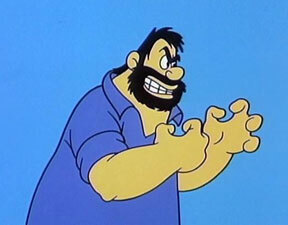 Out in the parking lot next to where I parked was a big Bluto-looking guy trying to console an elderly lady crying incoherently. He was outside the car and the old lady was inside. Apparently she was very hot sitting in a car with the windows rolled up and wanted whoever was taking care of her. I think the big Bluto-looking guy was just walking by when he saw her crying. He ran into Walmart and within minutes he and the manager rushed out towards the old lady. About that time a woman was getting into the car with the crying elderly lady. She looked perturbed and irritated about people intruding. It does my heart good to see a person show kindness to a stranger.